Update: Just for clarity’s sake, I do not in any way think that Roger stole my idea or plagiarized my report. I honestly don’t, and I’ll put a ‘Willis Eschenbach’ style of memoir post explaining why. Roger emailed me assuring me that was the case and I believe him. 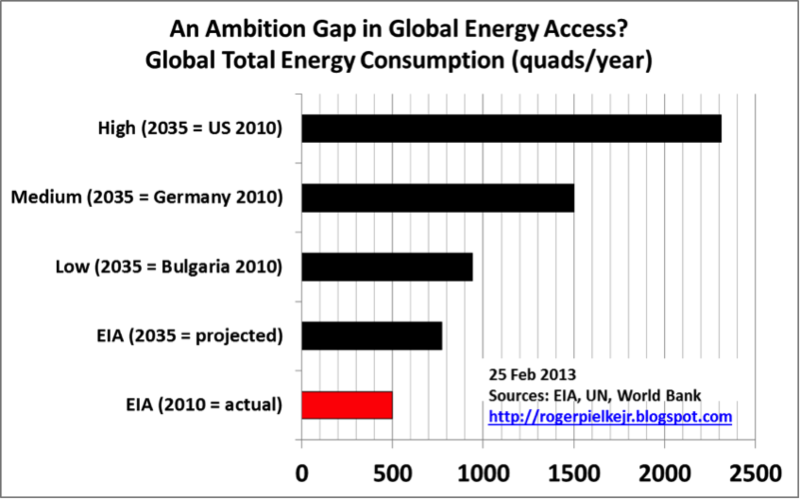 Over at the Breakthrough Institute, Roger Pielke has published an interesting article that basically replicates the work I’ve done here at 3,000 Quads. 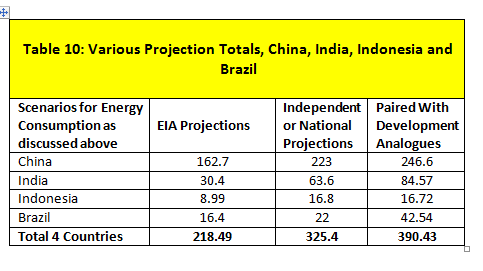 In arriving at his projected totals for future energy consumption, he uses the exact same methodology as I did in my report–picking a country that has ‘x’ level of energy consumption and calculating the result if the developing world reaches that level of prosperity. It’s sobering stuff. And here’s one of mine: Good to know great minds think alike.